DJ Zinc Fence hosts Catch A Fire at Brixton's Ritzy Cinema, on the first Sunday every month. Upstairs At The Ritzy, Ritzy Cinema, Brixton Oval, London SW2 1JG. Brixton BR & underground, 200 yards. 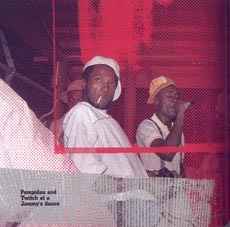 Beth Lesser's King Jammy's, the classic account of Jamaica's dancehall revolution, now reissued. New out of Jamaica, Vintage Boss magazine: the very best on Jamaica's musical greats and the finest archive visuals anywhere. 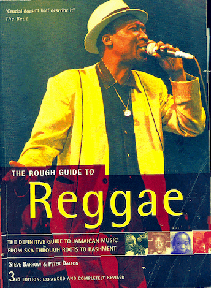 Roots Knotty Roots, the 37,000 title discography of Jamaican singles, reviewed. Brixton, long synonymous with Britain's black community, is changing fast. But is the black community being left out? The Millennium Countdown now available as a complete archive. Visit our celebration of twenty years in Jamaican music. For the very best in Jamaican music in original pre release format from the Sixties to the 21st century, check Tradition Records by phone or fax on (UK) 01159609622 or at PO Box 7728 Nottingham NG3 5WP, UK. All material strictly copyright of Zinc Fence, on pain of imprisonment, Gun Court style.